Exhilarating SF mechanical shooting game (supporting DirectX). 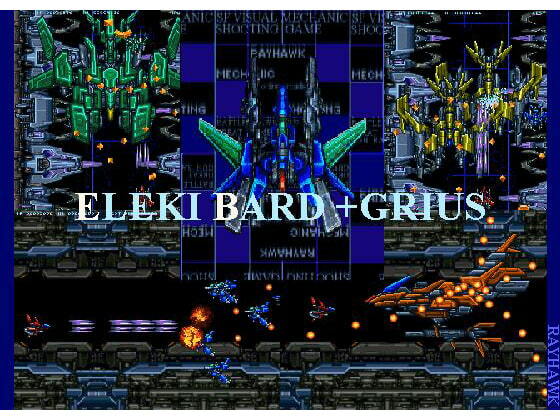 Containing 2 titles: vertical-scroll shooting game "Eleki Bard", and special version of the side-scroll shooting game, Grius. Scheduled release May. 22, * Release schedule subject to change.